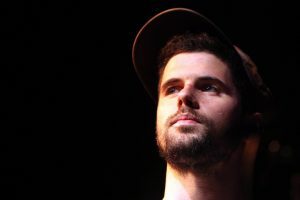 Dressed all in black, never removing his hat, Nick Mulvey has the air of a talented and yet an ultimately humble performer. 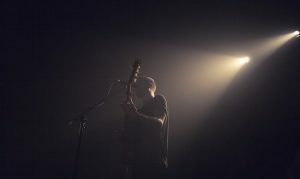 Walking on stage to ethereal voices swimming around the eaves, there’s something more to his music than simply the trodden singer-songwriter path. Mulvey is searching for something, something deeper. His choices are odd at times. He opens with ‘Remembering’, a sleek, eminently danceable number on the album. But this time it’s deconstructed, coming off as slow and laboured, like he’s missing the energy the song deserves. He deserves commendation for experimenting with form, but it never quite works. Instead the atmosphere is sluggish. A few songs in however, and the air is one of raw, unvarnished joy which showcased his unique musicality. Taking elements of the earnest singer-songwriter technique, Mulvey imbues them with Latin rhythms and a whole range of instruments, creating something that is far more than the sum of its parts. At the centre of this is the guitar. Having studied in Cuba, Mulvey plays guitar like no one else in pop music right now. Opting for nylon strings over the usual steel and utilising an odd but effective slapping technique, it sounds at once both exotic and comforting. You can hear the moulding of influences in Mulvey’s music and his performance is all the more exciting for it. In fact, this energy is what makes Nick Mulvey worth watching. His best moments, like Mountain To Move or Transform Your Game (We Remain), fizz with enthusiasm. His lesser moments all fall within the quieter end of his spectrum. The Trellis, for example, sees Mulvey messing up and restarting a number of times. He seems nervous almost, strangely out of his comfort zone. 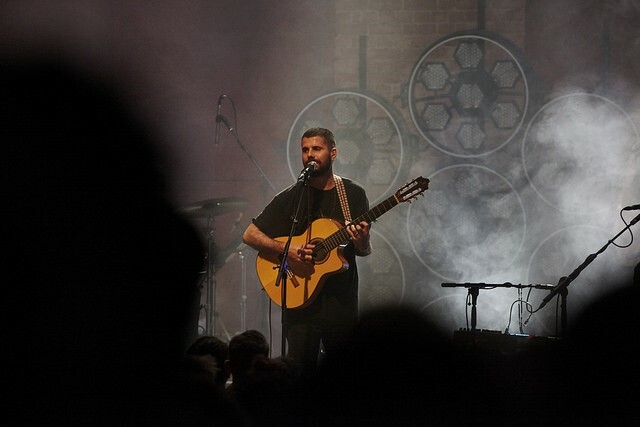 Ultimately, the audience he has is after eclectic, multicultural and energetic folk music. If we wanted the softer touch, we would see Passenger (though that’s not something I’m able to recommend). At times Mulvey’s set feels like church, or at the least something transcendent. His first encore song is ‘Infinite Trees’, a beautiful, lyrical number that showcases his ability to speak directly and personally, and in doing so cast a broad net, with an almost universal emotional appeal. ‘Myela’, a song written in an attempt to ‘introduce some humanity to the refugee crisis’, sees Mulvey wearing his heart on his sleeve and singing about ideas of decency and compassion. ‘We’re not in this room all together often enough’, he says at one point. How true. The title of his new album speaks to this. ‘Wake Up Now’ is less a call to arms than a call to keep searching. A question even, directed at the heavens.